Lace up your skates and join us on the ice for a joint Princeton-Stanford skating event in Kendall Square! 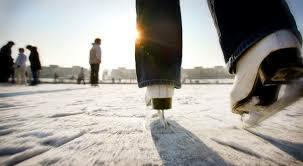 We have the whole rink - plenty of space to show off your triple axels. Afterward, come warm up with us at the bar Glasshouse and continue the conversation. Beginners welcome! We'll also provide water and hot chocolate at the rink. Skate rentals are also available at the rink. Dress warmly and come have some family fun!